He casts doubt on what hegemonic viewpoints have sought to establish as “the truth.” Both in a regional and global sense, this is a recourse which he has been drawn into due to the very nature of his work, which has become a mirror where all the controversial beauty of the finish on industrial products has become rustic and dysfunctional. His sarcasm has permitted him to entrench himself and from this position provoke a dialogue, an exchange of ideas, a desire to keep on with the discussion. Wood is an extraordinarily rich material, which given its symbolic power entailing its origin, it has been used by artists for engraving and sculpture, which in Barroso’s case, becomes one. Through sculpture, Barroso can plan his compositions with greater clarity, seeking out the ideal structures which he can pour all his content on. Once his sculptures have become real, they are invaded by engraving so that they form a hallucinatory map that leads viewers to the artist’s concerns and emotions. Through wood engraving, he presents us with things in reverse from which viewers can interact with at any time. His work tends to pit two worlds against each other; to be more exact, they are two dimensions of one single world. Geopolitics expresses this as the First World and the Third World—this confrontation seems to legitimize the scope of this parable since readings on this material are going to vary depending on the territory each piece may be found. For that reason, it is no accident that Barroso likes his artifacts to appear in Japan. Barroso has a preference for Japan when it comes to creating art. This is an ancient culture that is now invaded by amazing technology and so it creates a scenario that is completely seductive for him. His first intervention there was in 2003 with his Technology Man, a friendly wooden robot that allows him to introduce himself. Barroso’s robot comes face to face with a Japanese robot named Asimo in a somewhat humorous encounter. 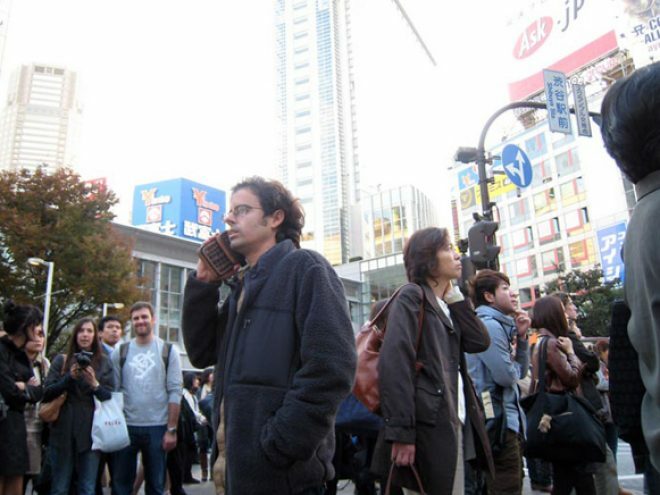 His second intervention was in 2008: a performance in the streets of Tokyo which had the artist carrying an exaggeratedly enormous wooden cell phone. He was working with what I would like to call the “collision effect”— the clash with the unexpected in which the surprise element play a key role. We cannot forget that Barroso had his debut during the days of the Special Period in the 1990s, and this might help us to understand his interpretation of contrasts ranging from ideology to technology. One of his shows highlighted this concept: Se acabó la guerra fría a gozar con la globalización [The Cold War is Over, Lets Enjoy Globalization] (Galería Habana, 2006; Galería Promoarte, Tokyo, 2008). On this occasion his work again exploited the dual perspective and transferability of his work. In the months of May and June in 2012, Abel Barroso and Sandra Ramos were the two special guests of the Havana Art Biennale of. Both exhibited at the Cuban Art Building of the Ntional Museum of Fine Arts. Barroso’s Cuando caen las fronteras [When Borders Disappear] deals with the mobility of persons in the universe. Art makes the suggestion that each one of us invents our own fate. This exhibit playfully involved viewers, getting them to face their own realities which at times they refuse to accept. The piece Mi casa es su casa [My House Is Your House] (2012)was one of the most significant works in that exhibition. It takes up the customs of certain birds to create a metaphor about the drama of human migrations. Barroso presents us with five birdcages, each one symbolizing a different continent. The birdcages are set up for easy access of elements that come and go in opposing directions and so the artist simulates the democratization of this flow. Another eye-catching piece, La historia contada por quien la cuenta [History Told by the Person Telling It], with its ingenious use of materials, is also controversial because it deals with such a complex subject as hegemonies and their impact on the everyday lives of peopel all over the planet. Abel Barroso allows us to make out a mind that deals with obsessions, which have produced a unique gallery of objects that some interpret as being testimony of resistance while others see it as a slight smile at what has been seen as inevitable for some time now.